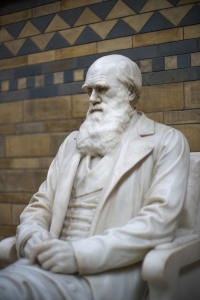 A surprising new survey has flummoxed the scientific establishment: about one in five Americans are religious and scientifically literate yet reject key components of modern neo-Darwinianism, according to PhysOrg. The survey included 2,901 respondents, showing that a large group rejected evolution and the big bang, even when as well-educated and scientifically literate as their secular counterparts. Timothy O’Brian, one of the lead researchers of the study, remarked: “We were surprised to find that many people who are knowledgeable about science and appreciative of its practical uses reject certain well-established scientific theories.” This surprise only reveals the level of ignorance (or arrogance) in the scientific establishment. The study, which just came out in the February edition of American Sociological Review, divided the respondents into three groups, with the post-secularists (21% of respondents)—those both favorable to religion and science—being the group to most consistently reject evolutionary theory and the big bang. The other groups included traditionalist (43% of the respondents who favored religion over science) and the modernists (36% of the respondents). O’Brian noted that “many social scientists assume that high levels of education and income, as well as positive views of science are incompatible with religiosity.” Yet this study undermines this gratuitous assumption: many of these people are well-informed and highly educated and accept many current theories about geology, planetary motion and mathematical probability yet reject the scientific establishment’s views on evolution. Various other scientific journal are bewildered, with National Geographic and Live Science offering biased news-reports that highlight the “smorgasbord” approach of these Americans or their “inconsistencies.” Such commentary-news reflects a mindset that has been living too long in the echo-chamber of neo-Darwinianism. Will the hermetically-sealed scientific establishment that owns all the major avenues of education offer some contrition, admitting that maybe one can be intelligent and religious? Only when Dawkins apologizes for his name-calling.